Whatever your application – from CT/MR and CR/DR, all the way to digital angiography, PET, ultrasound or digital subtraction fluoroscopy – DRYSTAR 5503 has got you covered. 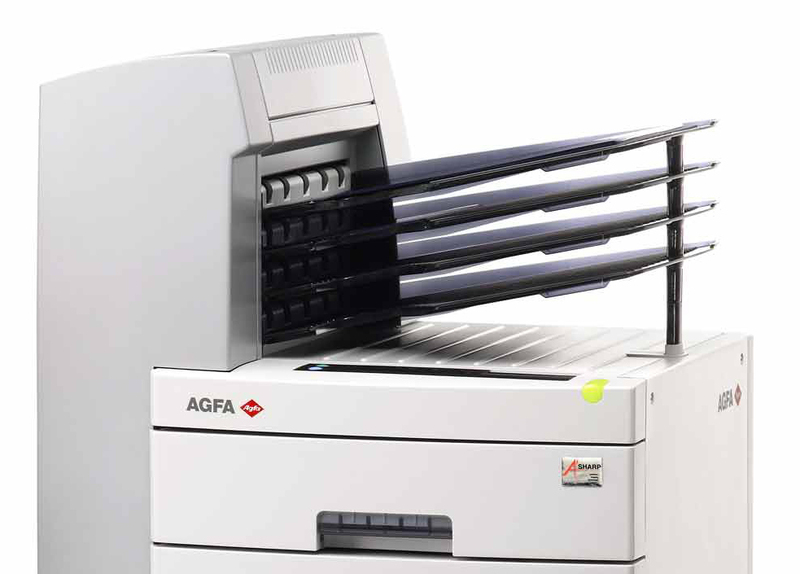 And you won’t have to sacrifice other advantages: DRYSTAR 5503 gives you the high-throughput, multi-format archi – tecture and high quality DDI images you need from your centralized hardcopy imager. Any type of media, any size of media – any tray! It’s all-in-one: fulfilling all your requirements from just one imager. Supporting every application and multiple modalities, while offering high throughput and high-resolution, the all-in-one DRYSTAR 5503 addresses all of your centralized imaging requirements. You get the high-value features that make the difference, including Agfa’s A#Sharpenhanced, award-winning Direct Digital Imaging technology; the flexibility of three multi-format media trays; and easy, DICOMnative integration. The Mammography printing option increases the usability possibilities.